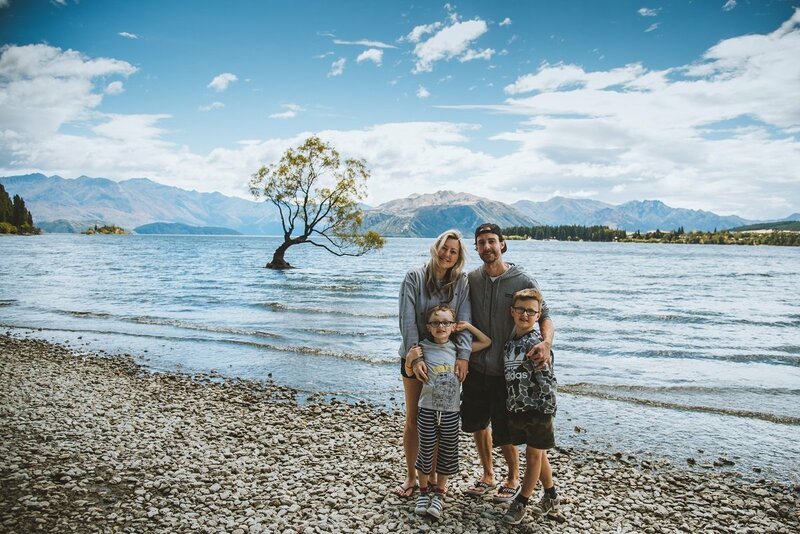 “You’re crazy, that’s a long way to travel with kids” was the reaction from most of our family and friends when we told them we’ve booked a 2 week road trip around the South Island of New Zealand with our two boys aged 7 and 9. Travelling with kids can be daunting but trust me, New Zealand is worth the mammoth effort. So with a fair bit of forward planning, a touch of “play it by ear” as my husband likes to say, we arrived on the South Island to start our journey and pick-up our Wilderness Motorhome. 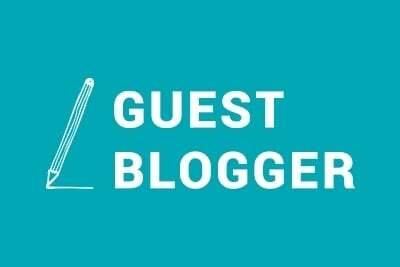 We had two weeks to explore the South Island and our Peak 4 Motorhome, affectionately named Moto Moto, enabled us to have the freedom to see and do everything we wanted in the timeframe we had. Being a reluctant camper, I was surprised at how spacious, comfortable and convenient the motorhome was. The boys were in their absolute element, they woke up in some of the most amazing locations with a different view each time, views of lakes, mountains, stunning beaches and national parks. Each day was an adventure. We decided we didn’t want huge 6 hour plus journey between places, so we planned a little beforehand, but also winged it a little too. That’s the beauty of travelling with a motorhome, we had complete freedom to travel when and where we wanted to. If there was somewhere we really liked, we could stay there a little longer. On our bucket list was Kaikoura, Blenheim, Abel Tasman, Punakaiki, Wanaka, Queenstown, Milford Sound and Lake Tekapo. We managed to see all of these places in the two weeks we had. We used the Campable app to find all our overnight places to stay. 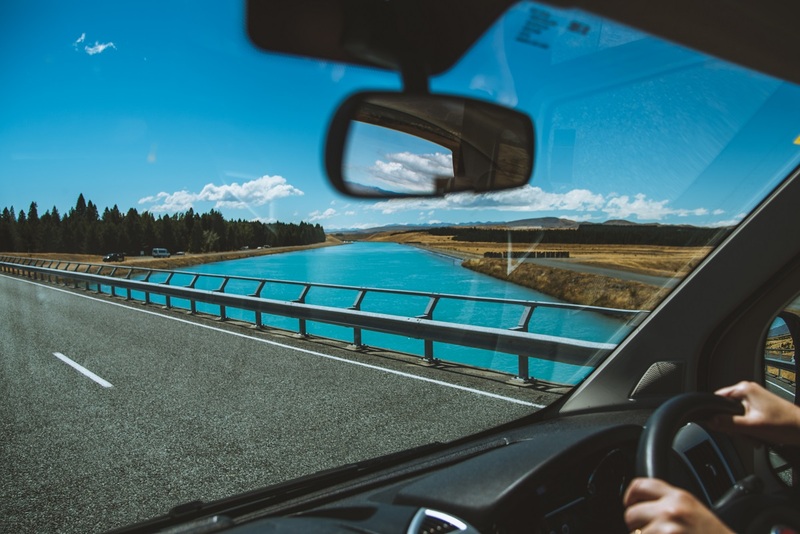 On our journeys across the South Island, we chose to take plenty of stops - it’s difficult not to as there are so many beautiful stops along every route. Our tips are to look out for the large brown camera signs along the way and just pull over and see. 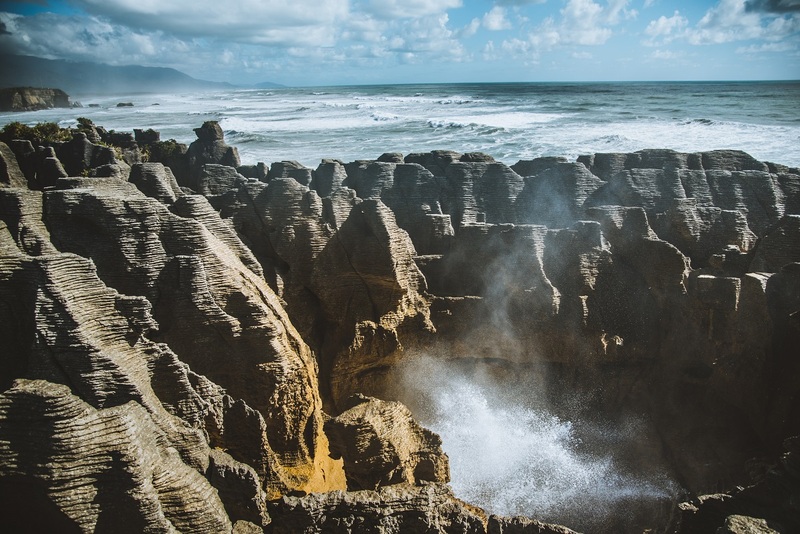 We came across lots of places we hadn’t read about in the guide books, New Zealand has so many natural wonders, from forests and blue lakes, to wild beaches and stunning mountain ranges. All the places we visited were easily accessible for kids (ours don’t like walking too far) and most had no cost at all. This place was stunning, we got to our campground which was right next to the beach. The area is called Kaiteriteri. It’s the gateway to the national park and you can literally catch the boats in and out into the heart of the national park directly from this beach. It’s a super spot for the kids to kayak off the beach with safe shallow waters. We took kayaks out one day around the bay and to our boy’s absolute delight had blue sea penguins swim alongside and underneath our kayaks. We took a boat trip out to the national park which was a fantastic day out. 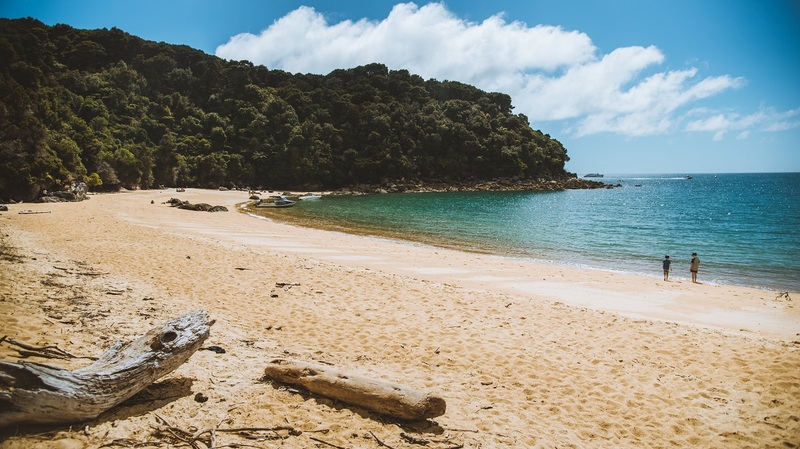 We all swam in the ocean, enjoyed the wildlife (especially the kiwi’s) and did a little trek around to the stunning paradise beach of Awaroa Bay. We drove here from Abel Tasman for around 5 ½ hours. It was our longest journey of the trip but the scenery and plenty of stops along the way helped. This is a must visit for any family trip. Our boys witnessed the raw power of the wild waves blowing sea spray through the air, their faces and excitement as seeing this natural wonder I’ll never forget. Great little restaurant and coffee shop at the entrance to the rocks too serving… you’ve guessed it... pancakes! 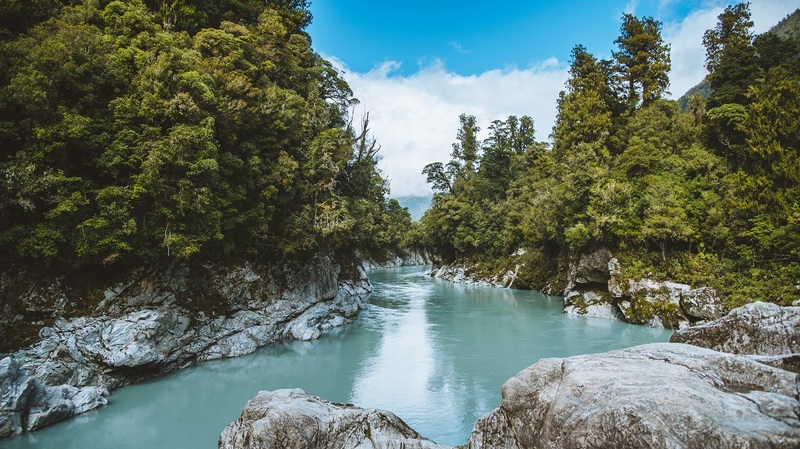 About an hour inland from Hokitika is a gorge we’d read about which has the most amazing blue colour. Unfortunately, on the day we got there is was a milky grey due the rainfall the day before, but still a beautiful spot. The water’s edge and best photo spot is a little trek (not too long for little legs) down to the gorge along rope bridges. Wear decent shoes and not flip flops like we did and invest in some sand-fly repellant, it’s a haven down there for those little nippers. On the journey down the coast to Wanaka is Knights Point, again sand-fly repellant is a must here. This point has a high vantage point over the west coast and is a great spot for lunch or a stretch of the legs, we were lucky enough to see a pod of dolphins. Another scenic drive brought us into the lakeside town of Wanaka. This town was one of my favourite spots. Very chilled and super family friendly. We had a night off cooking in the motorhome and got take-out from Eric’s fish and chip van (opposite the BP garage in the centre of town). Now being British and living in Cornwall, we know our fish and chips well, and these were delicious. We hired bikes here and cycled around the lake and got the obligatory tree in the lake photo. 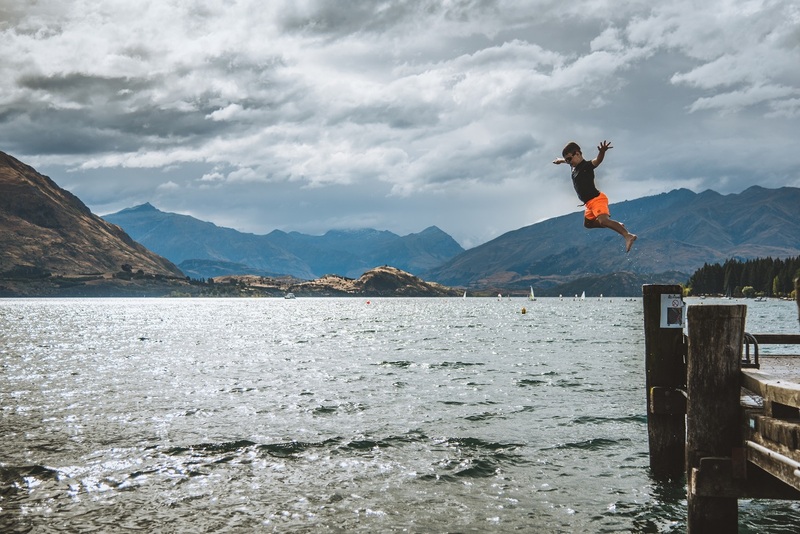 Our eldest son spent the afternoon jumping off the pier into the lake with some local New Zealand school kids, while we drank coffee by the lake. There are some great family activities available around the Wanaka area - we loved Crossfire Wanaka where we all enjoyed learning archery and played some crazy golf. We spent three nights here and used it as our base to explore the town and visit Milford Sound. Queenstown is a brilliant place with a great atmosphere. Easily the best family thing to do here is the luge. The whole family loved it and it’s great fun whizzing down the track Super Mario Kart style with the backdrop of Queenstown. At the top of the gondola the views of the lake and mountains are spectacular. The restaurant at the top is family friendly and has the best chocolate cake according to our youngest cake obsessed son. The food in Queenstown is excellent too with lots of restaurants, pubs and fast food to choose from. We used an app called First Table which is great if you’re on a budget and like to eat early, especially with kids as it offers 50% off for early diners. But you cannot leave Queenstown with trying the famous Fergburger, I’ve never had to queue so long for a burger, but the wait was so worth it. 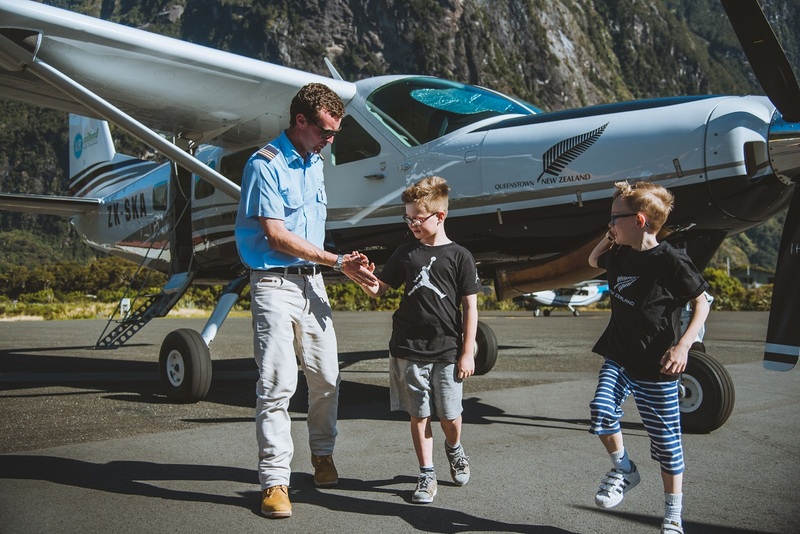 We decided to take the 45 minute scenic flight to Milford Sound rather than drive - dubbed as the most scenic flight in the world - it lived up to its expectations. The scenery is unlike anything we’ve ever seen before, it’s a must do when visiting New Zealand and even though I hate flying (and it was bumpy from turbulence), I’d do it a million times over to see this place. Milford Sound is magical. Lucky for us, the region had a lot of rain a few days before our visit so every waterfall was thundering into the sound. No photo can do this place justice. The boat trip out into the sound takes you to one of the biggest waterfalls and much to our boys delight they take you into the falls (well the spray) where our kids had their first waterfall facial. The drive from Queenstown to Lake Pukaki was by far the best drive of my life. We drove through vast plains flanked by mountain ranges, only to be greeted by the most turquoise blue lake we’ve ever seen. We stopped here on route to our campsite at Lake Tekapo. Another hour’s drive from here is Lake Tekapo. 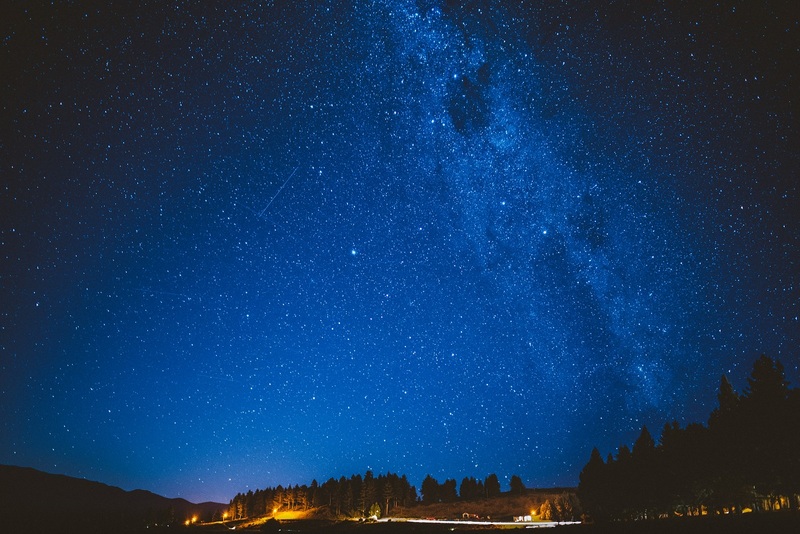 Here you are in the dark sky reserve of New Zealand. From the lake side we went out for a late-night walk with the boys for stargazing and WOW we were not disappointed, the night sky lit up with stars and the milky way was so clear. Worth keeping the kids up late for sure for. If you want convenience and freedom along with adventure, then a motorhome is the way to go. It was the ideal way to travel New Zealand for us and we have memories of this trip which will last a lifetime.